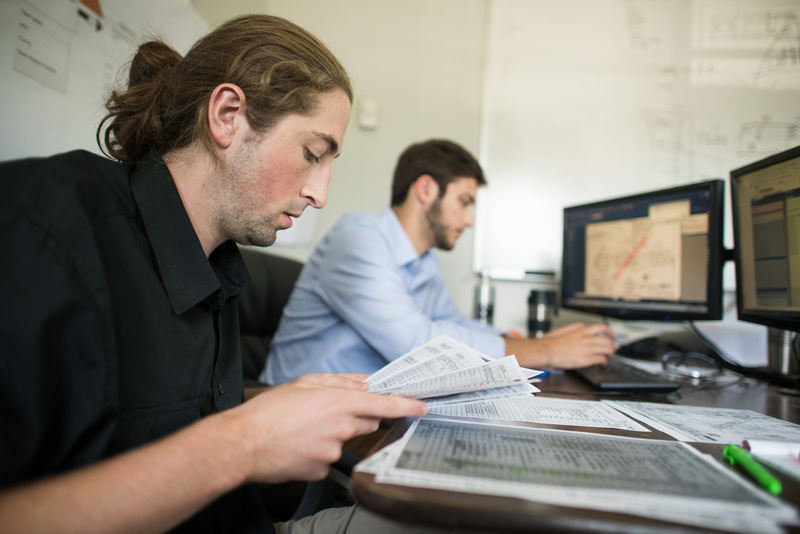 Students in the College of Engineering and Mathematical Sciences (CEMS) at UVM can find and apply for jobs, internships, co-ops, and other professional opportunities in several ways. The links below offer good places to start when searching. Some Students in the College of Engineering and Mathematical Sciences (CEMS) at UVM can receive free elective credit for part-time internships during the academic year. Internship credit needs to be arranged PRIOR to the start of an internship and cannot count towards technical electives. Contact Lauren Petrie to discuss further. Students in the College of Engineering and Mathematical Sciences (CEMS) at UVM can pursue 6-9 month, full-time work opportunities, also known as Co-Ops. These opportunities can be completed anywhere, but require planning and co-op course registration beforehand. Any student pusuing a co-op experience should meet with Lauren Petrie to discuss further details about the program, how to find co-op opportunities, and what needs to be completed prior to starting a co-op. Students can meet with the CEMS Career Readiness Program Coordinator, Lauren Petrie, or any Career Counselor in the UVM Career Center or Hub for more help finding jobs or internships. To schedule an appointment or find contact information, visit the CEMS Career Readiness Program home page under “Getting Started”. UVM's internal job and internship database. Search for jobs and internships, upload your resume, and cover letter for feedback, apply for positions, and see information about on campus recruitment, info sessions, and other events. Apply to the Job Shadowing program to be matched with a UVM alum or parent for a one-day job shadow experience over winter break. You can see what a typical work day looks like, make connections to people in an industry, and determine if this type of job is a good fit with your interests and goals. Each year there are about 100 job shadow sites available in a variety of different industries and locations. Use the “Jobs” tab to search for opportunities in various industries and locations! You can also find alumni and professionals to connect with to start building your network. For information on how to get registered, build your profile, and search for positions contact CEMS Career Readiness Program Coordinator, Lauren Petrie or stop by the Hub! VBSR connects interns with companies in VT throughout the year. All internships are paid. Nicole Mason (B.S. ’07, M.S. ’10) has been working tirelessly to help others around the world, utilizing the UVM alumni network to make it happen. Mason reports in a phone interview from her home in California, “I took a Women and Minorities in Engineering summer course. I learned that the things people need most are electricity, buildings, and roads.” She explains that, in her research, she found that women, herself included, view the ability to make a difference as highly motivating in their career choices. Mason later had the opportunity to work with a professor on a gravity water system in Honduras. From that point on, she did not look back on her global service mission. She has been to Honduras more than ten times; she serves on the board of Clara Vista, a nonprofit founded by fellow UVM grads; she founded the nonprofit Common Action for Sustainable Development (CASD) in Nepal and the USA. 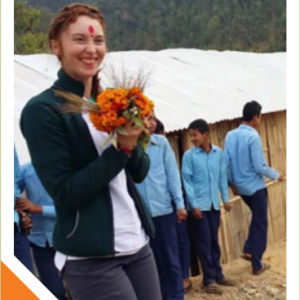 After the devastating 2015 earthquake in Nepal, when Mason “didn’t think [she’d] make it out alive,” CASD built 200 temporary shelters.